You already may already know how to share content from your LinkedIn Company Page, but did you also know that you can segment your company page messages out to a targeted audience? 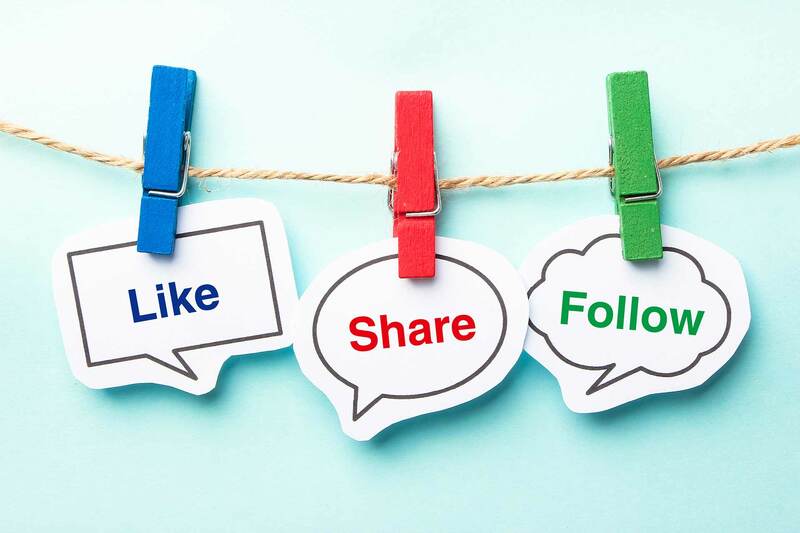 By clicking the drop down labeled "Share with: All Followers" and choosing "Targeted Audience," you open up a new world of message segmentation. Before you go too far here, I want to stop you. If you don't have at least 100 followers inside of your targeted audience segmentation, then you won't be able to use this feature. If you need to grow your followers, then using some of the LinkedIn Company Page best practices will help. If you don't already have one, then follow this link to learn how to build a LinkedIn Company Page. If you really want to amplify and segment your messages and can't wait for organic follower growth, then read my Guide on Optimizing LinkedIn Sponsored Updates. If you're ready to start segmenting your messages, then let's dive in. Below, we explore various segmentation options and give screenshots and examples of the targeting parameters available on your LinkedIn company page. The targeted audience features allows you to post segment specific messages without the fear of alienating parts of your audience whom the message wouldn't resonate with. Have a large following in Pharmaceuticals, but you want to post a message only to your followers in Hospitals and Healthcare? No problem. As long as you have 100 people in your audience, you can experiment with multiple targeting segmentations. Let's start by looking at high-level segmentations by single categories. 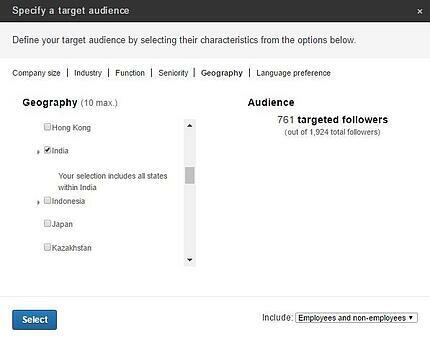 Geographic targeting is broken down by continent (even Antarctica) and allows you to segment by virtually any country in the world—as long as you have 100 followers in that area. For instance, because of TSL Marketing's global presence, the company page has a large following from India. This allows us to post messages that will ONLY be seen by our 761 followers in India. We can take that a step further and target ONLY our non-employee following of 636. 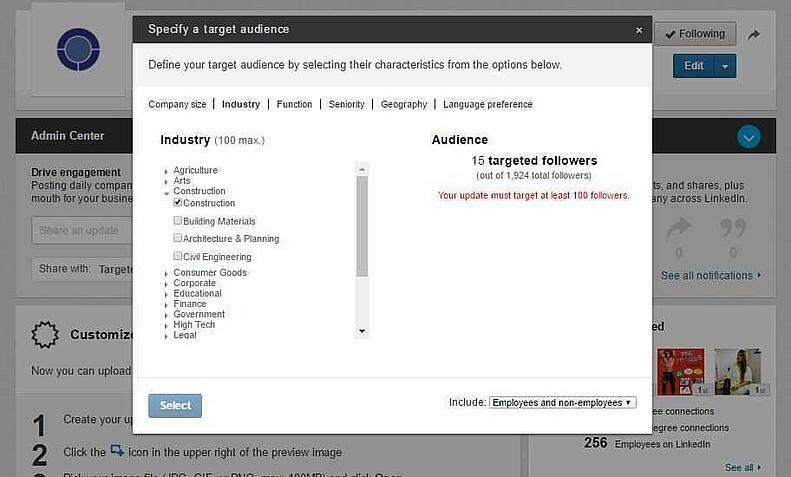 Company size segmentation for Company Page posts are by employee size only. As of this writing, you cannot segment by company revenue. 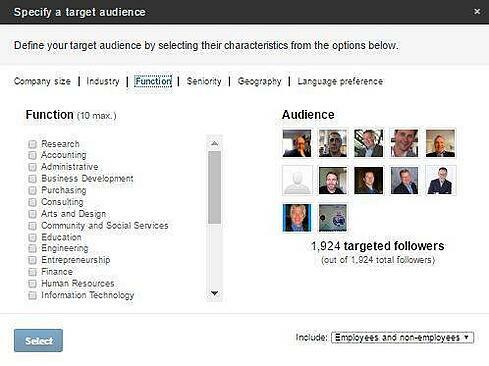 Job function and seniority targeting allows you to focus your audience to specific roles and ranks. Language targeting with LinkedIn Company page posts has proven both fascinating and useless for me. TSL does not have more than 100 followers in any language other than English. Note that many languages aren't available here, and many LinkedIn users default their settings language as English. Company page target audience filters can be layered together to create perfect segments. Hypothetically, you could target only followers in the Europe, who are a VP or above in information technology at a manufacturing company with over 201 employees whose language setting was French. For me, this wouldn't yield enough of an audience. However, if you have a substantial following, this could allow you to put a persona-focused and language-based technology message in front of exactly the right audience. While segmentation could work to help you personalize Company Page posts, remember that that Company Page posting isn't like sending email or InMail. Your segmented audience isn't receiving a notification in their email or in LinkedIn Messages. Your impression percentage will only be a relatively small number of your total segmented audience. They'll only potentially see the message if they happen to be logged in to LinkedIn around the time that you post. This impression percentage can be amplified depending on how much organic social activity your post happens to get. Organic social media activity could help your company page's posts trend in the network of your target audience. 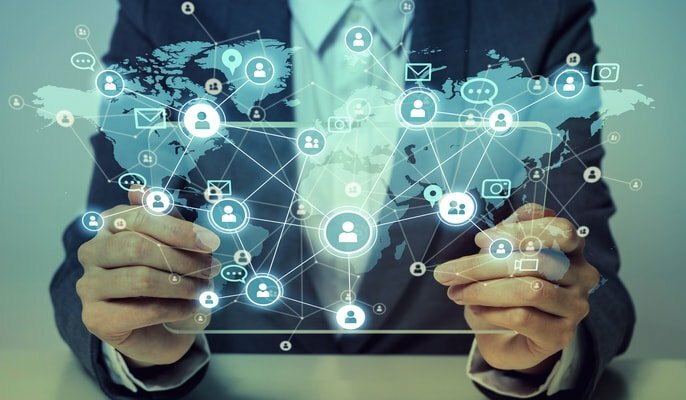 Achieving this involves a lot of organic like, share, and comment activity among people connected to each other in your target audience. 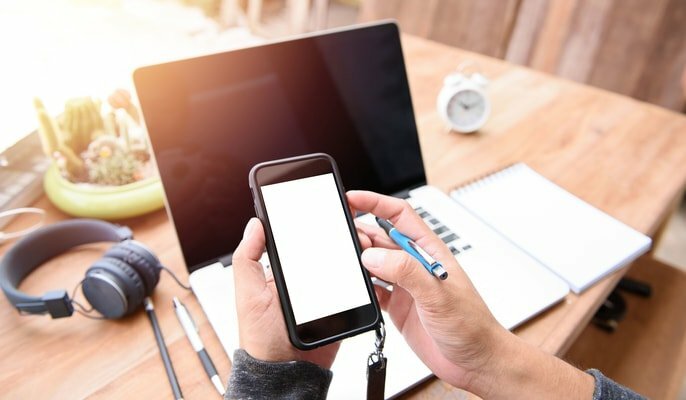 This is why we strongly emphasize that our clients make sure that their employees and customer advocates are aware of and are participating in their company's social media efforts. Social media posts that aren't liked, shared, or commented on have a limited shelf life. Even with the best segmentation, your posts stand to be lost in the noise if you don't have an organic or paid plan to amplify that activity. If you're tired of waiting for your team to get on board with networking in the digital age, then reach out to me. My team is well-versed in helping organizations change the way they view social media. Our expert team helps B2B companies navigate their way through LinkedIn and show the naysayers that social media networking isn't a waste of time and money. We offer training, coaching, and community management.